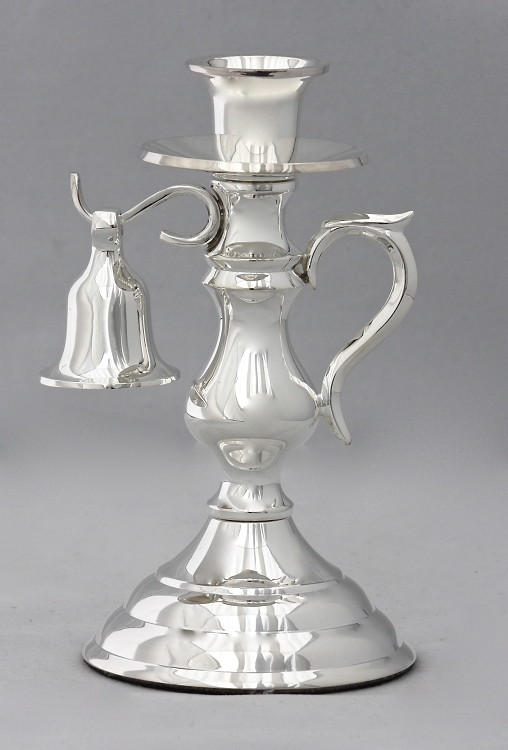 The Dutch West Indies Company imported this lovely Silver Plated candlestick to the colonies. Its practical design was a source of pride and comfort for the homeowner. This lovely heirloom quality candlestick in heavy Silver Plate over solid brass measures 6-3/4" high and carries its own snuffer. The silver is treated with an anti-tarnish finish to keep it shining, the base is felted to protect fine finishes. Weight: 1 pound and 3 ounces. 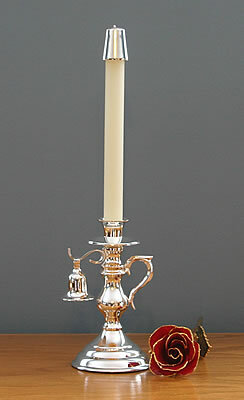 THE CANDLESTICK I RECEIVED WAS MORE THAN I COULD HAVE EXPECTED IT IS VERY LOVELY . I WOULD RECOMMEND THIS CANDLESTICK IT IS WELL WORTH THE MONEY AND MORE. I RECEIVED MY ORDER WITH OUT ANY PROBLEMS, AND WOULD ORDER AGAIN IN A HEART BEAT. Purchased this for my sister who just got married and who lives in another state. Haven''t heard from her as to whether she likes it or not, so all I have to go by is the picture. I like this though very much and one day think I will get one for myself. The efforts of seventeenth century colonists to approximate the comforts of home with imported luxuries are recalled by the delft pottery, puzzle jugs, and posset pots; brass, silver, and pewter candlesticks, Italian brocatelle and an Ushak, or "Turkey," carpet on the floor. The warmth provided by such imported materials gave the colonists a sense of security and protection in the wilderness.